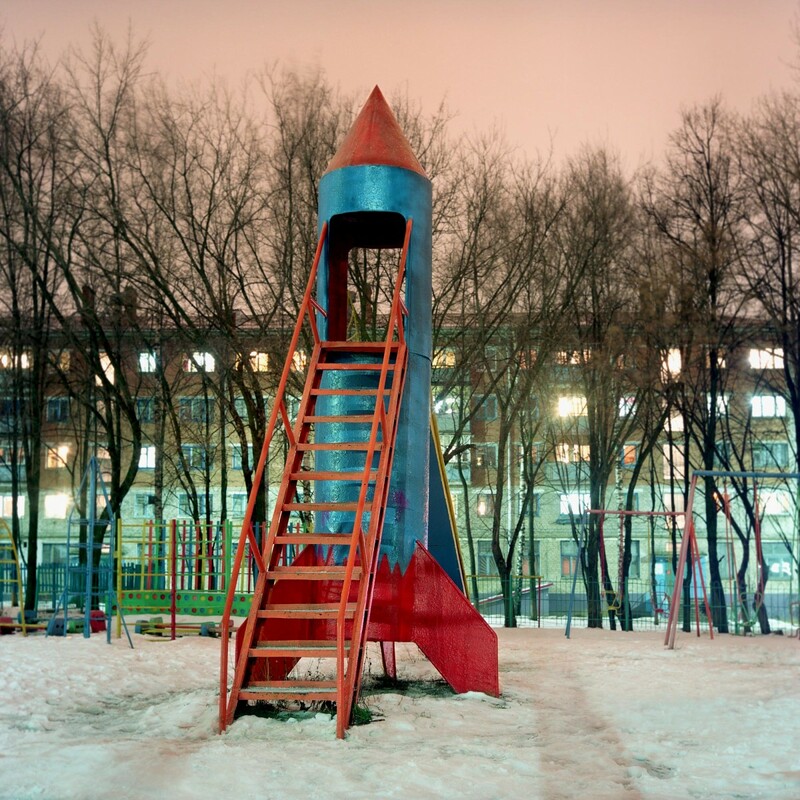 The rocket and space program of the USSR, along with the exploration of the universe left its mark on the country. 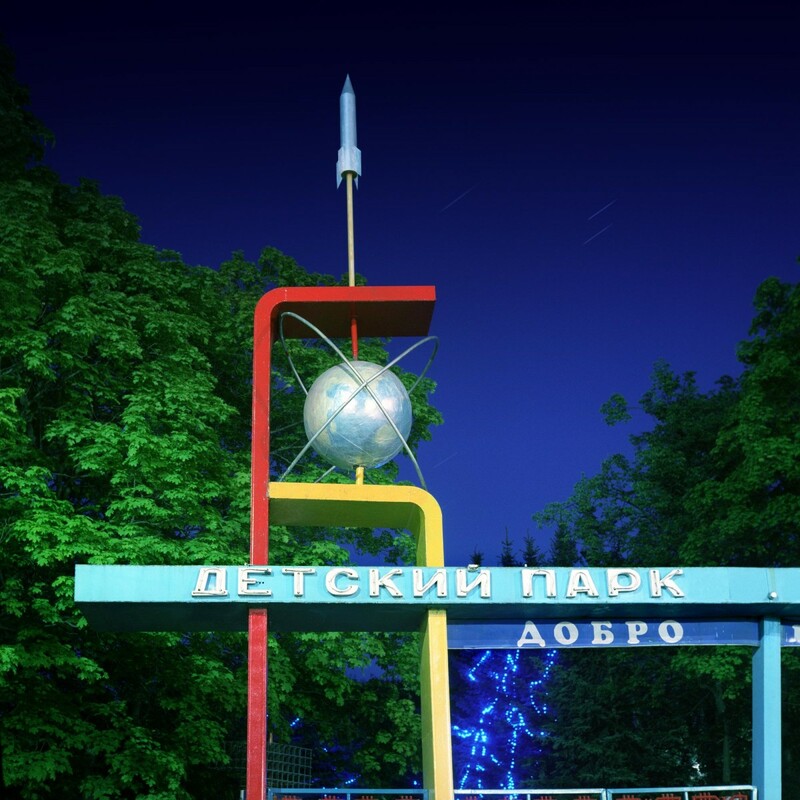 Obviously, it reflected on the people’s minds as well. 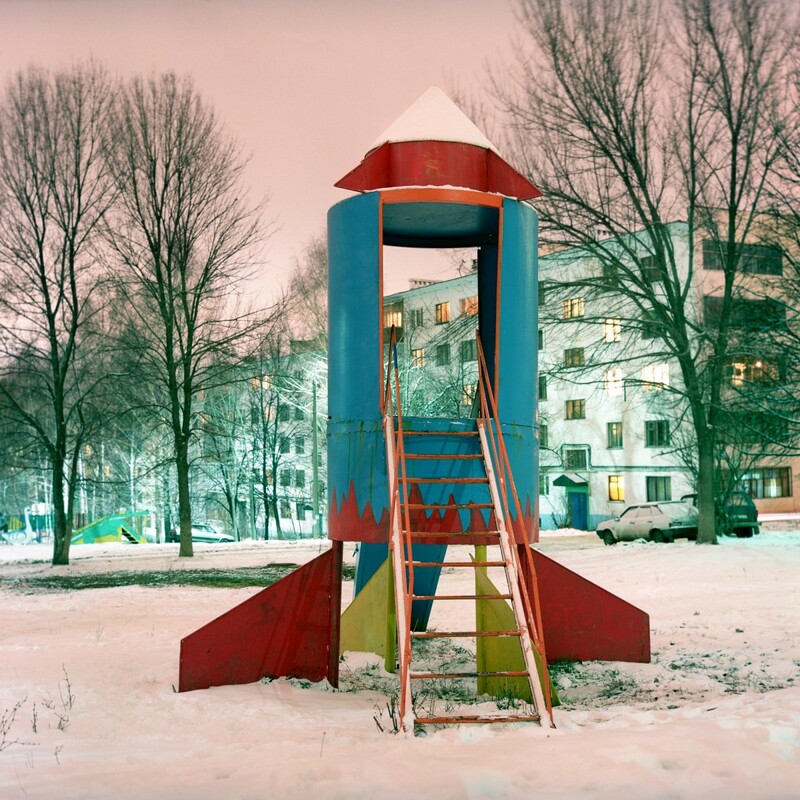 Every other little boy wanted to be an astronaut. 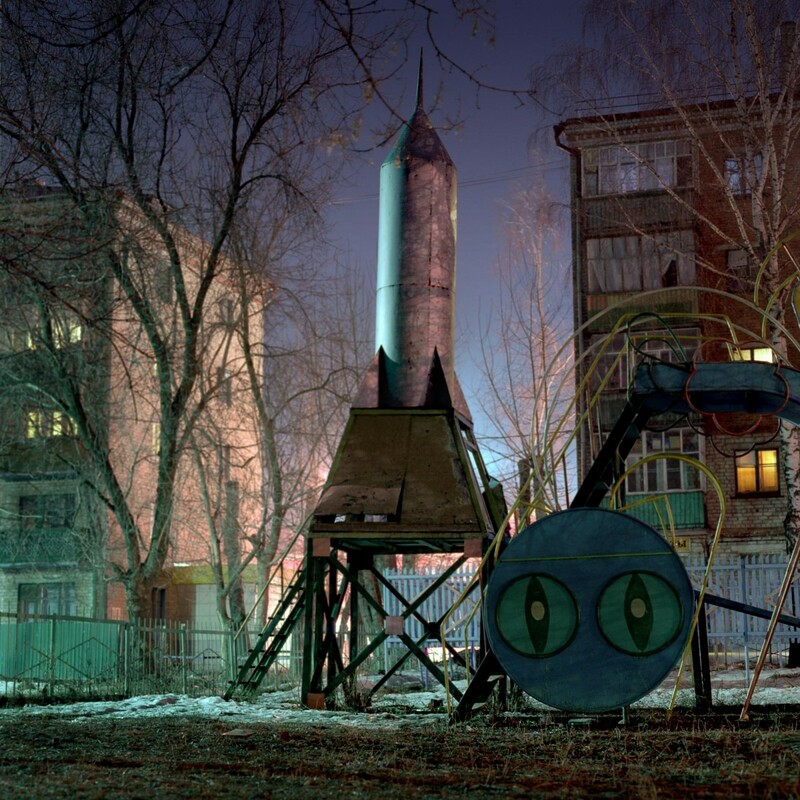 One of them was the photographer Ivan Mikhailov. 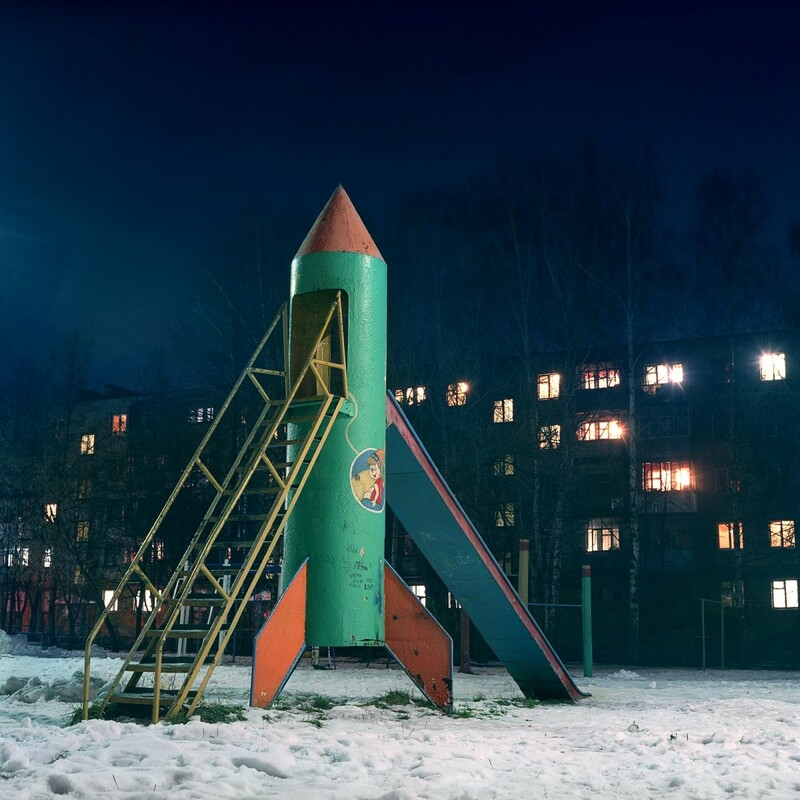 As a child, he often stared at the stars, and thought of planets and space adventures, while sitting atop of a rocket-shaped slide near his house. 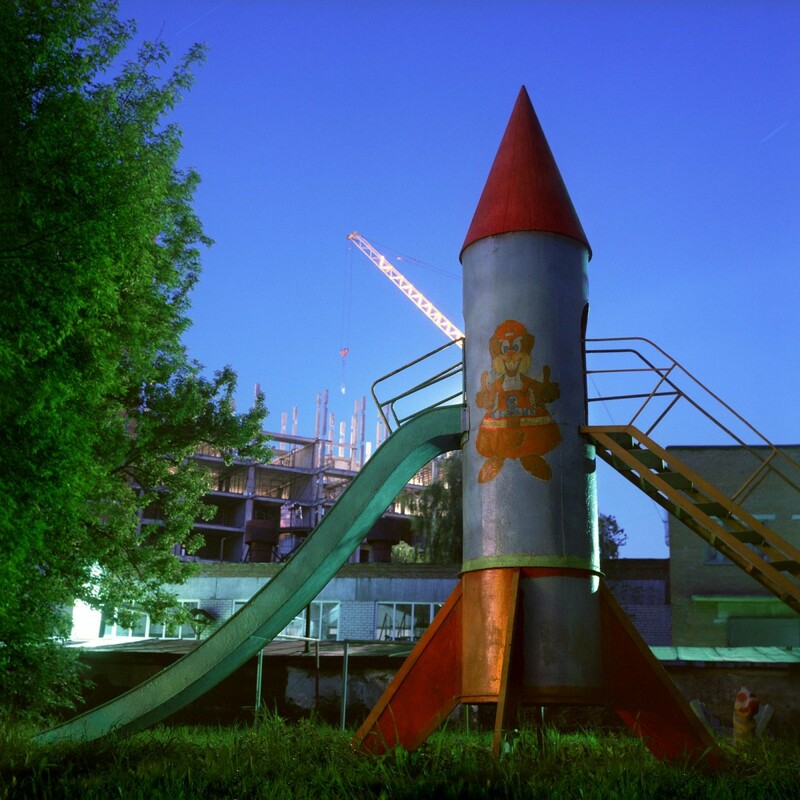 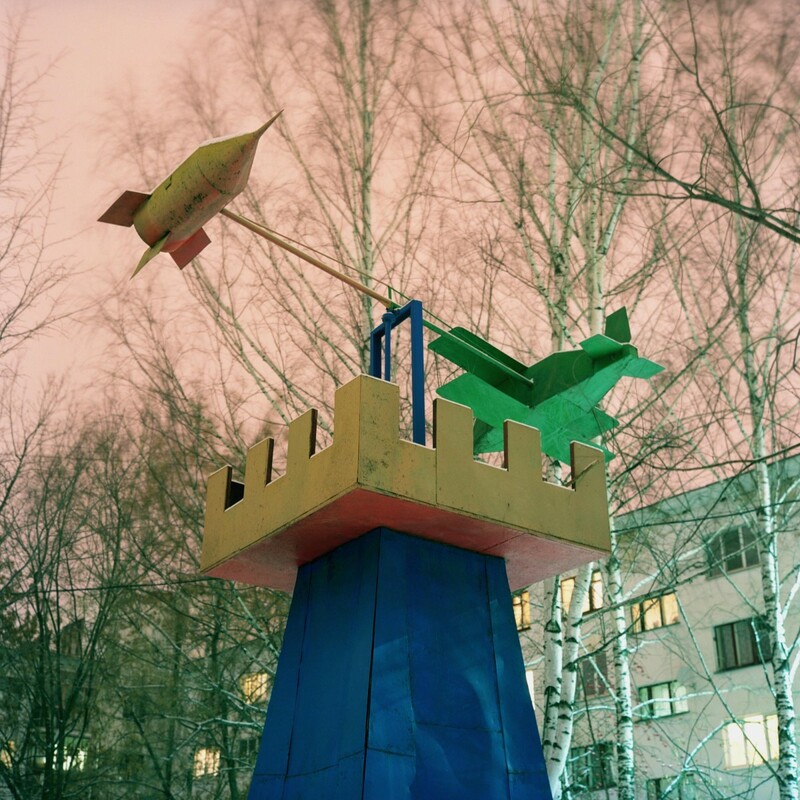 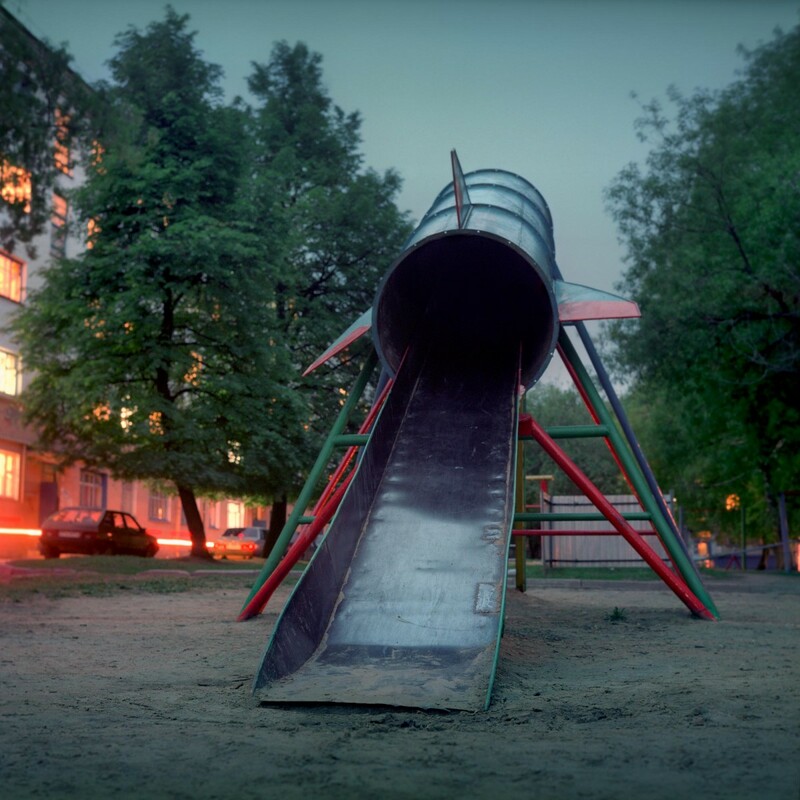 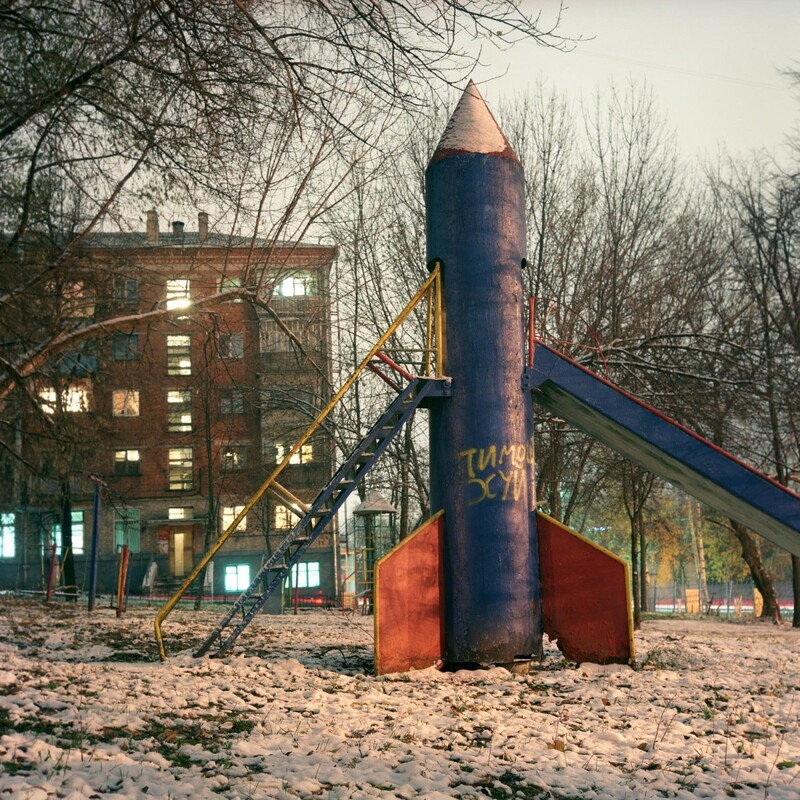 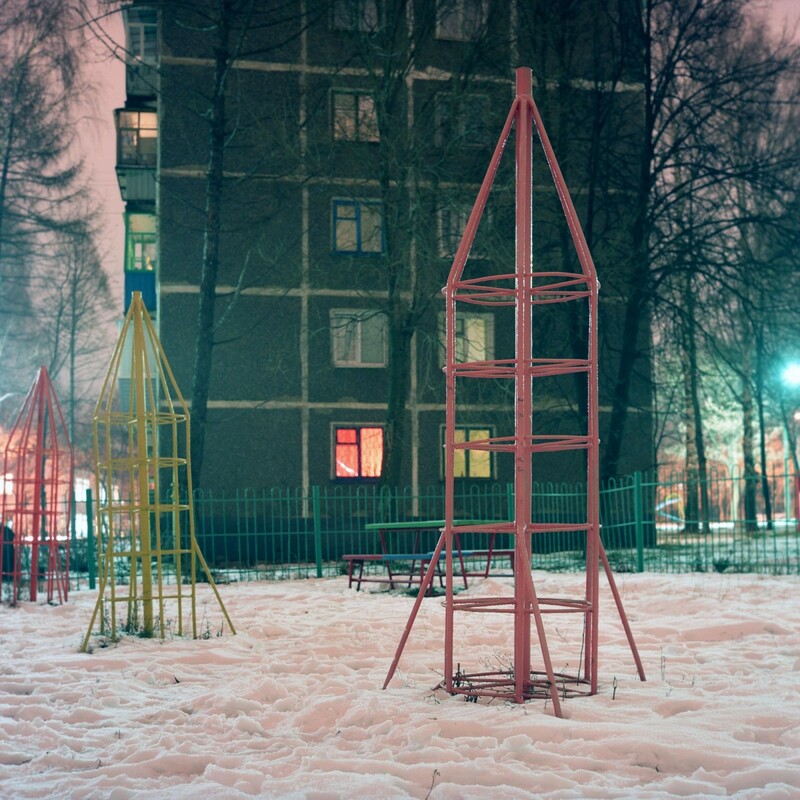 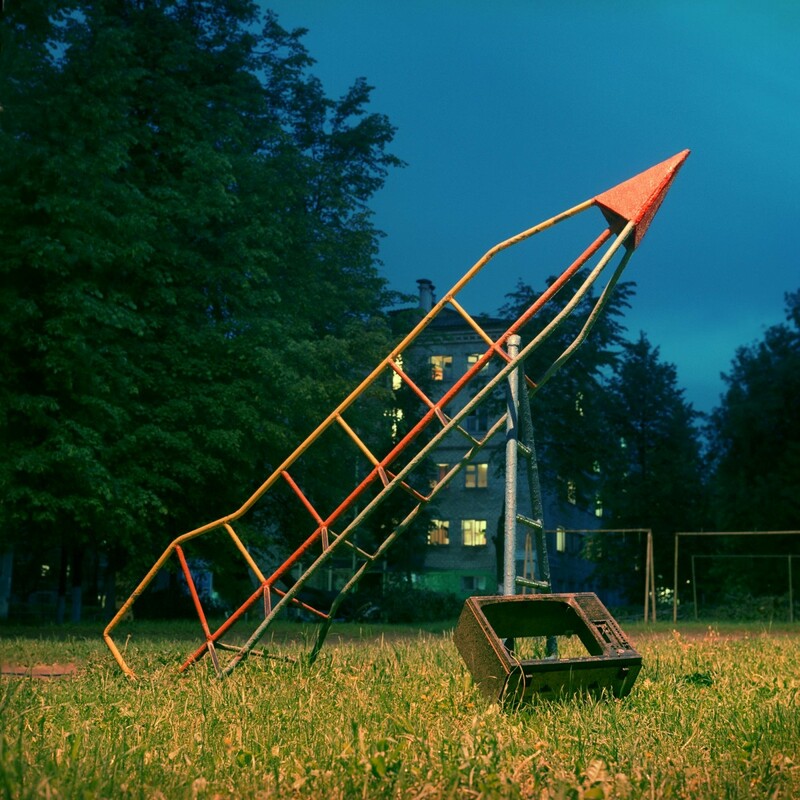 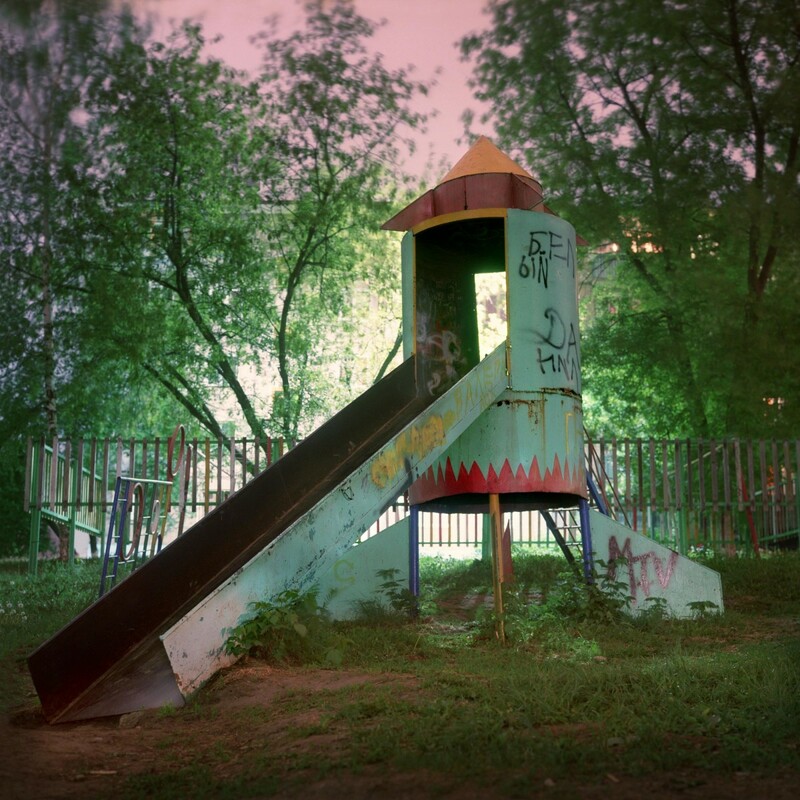 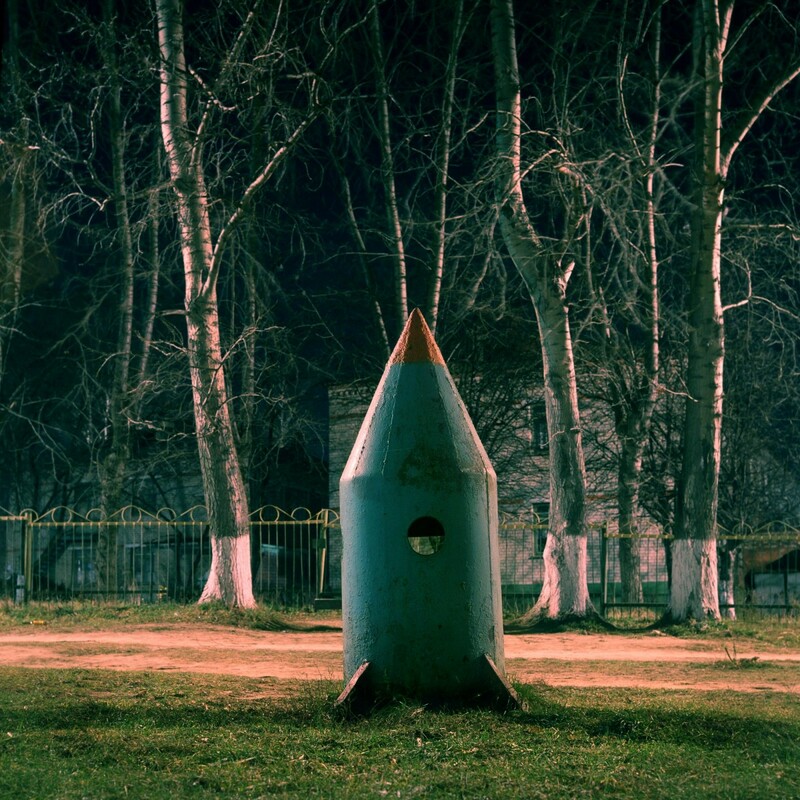 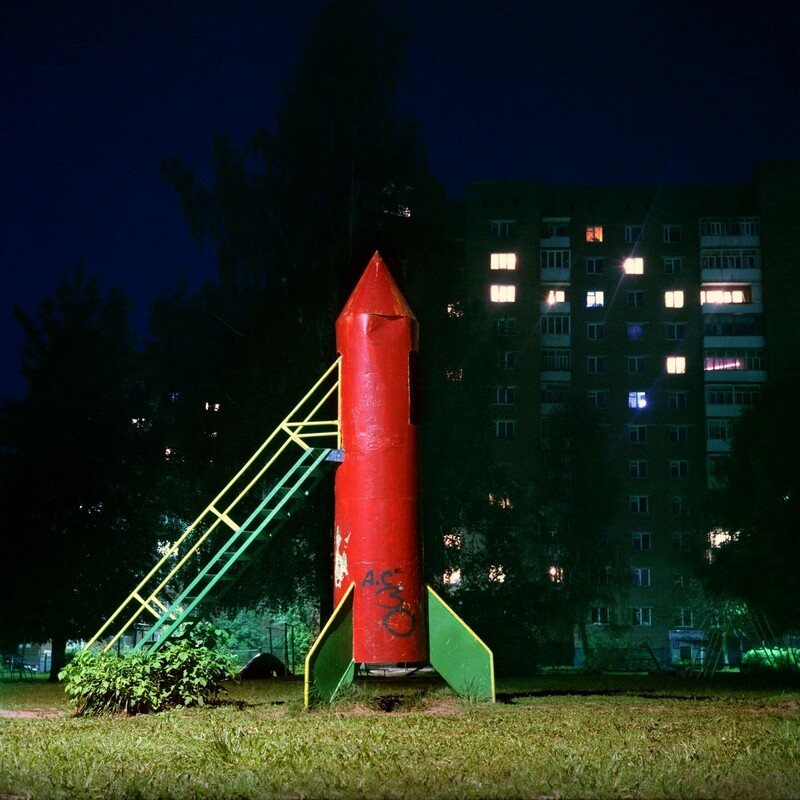 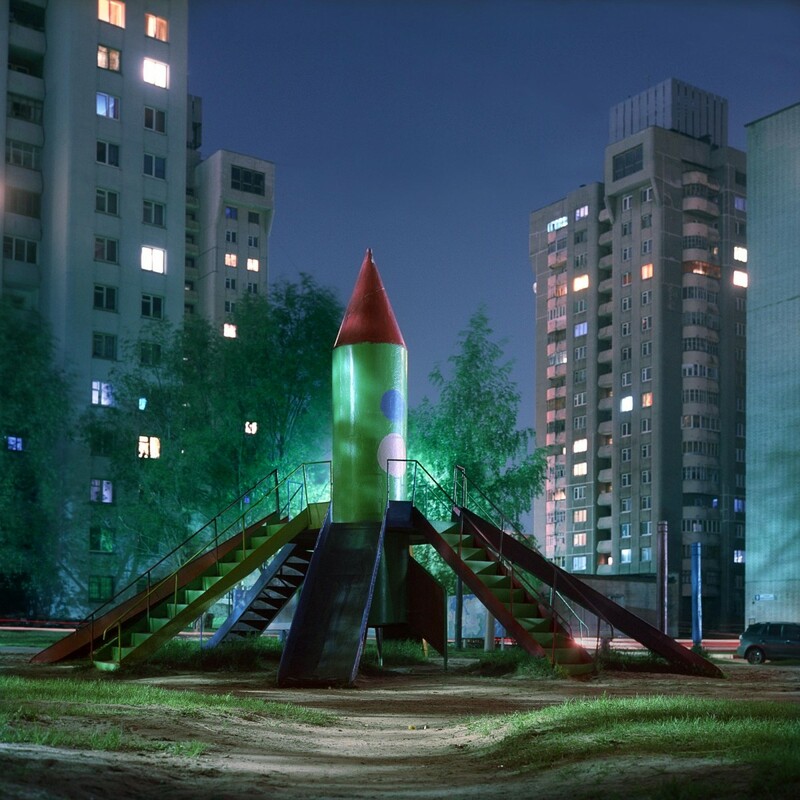 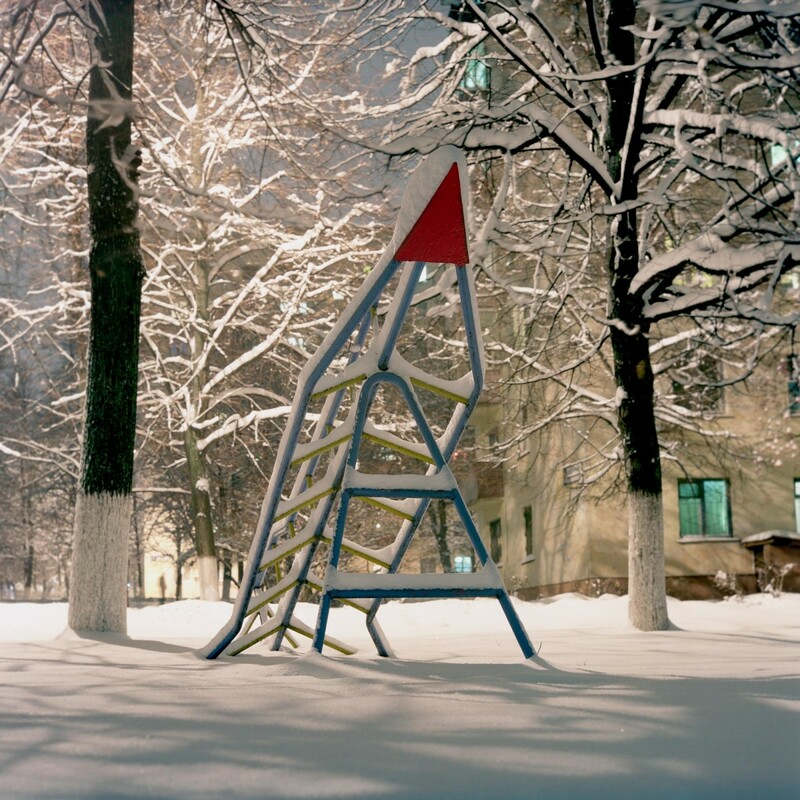 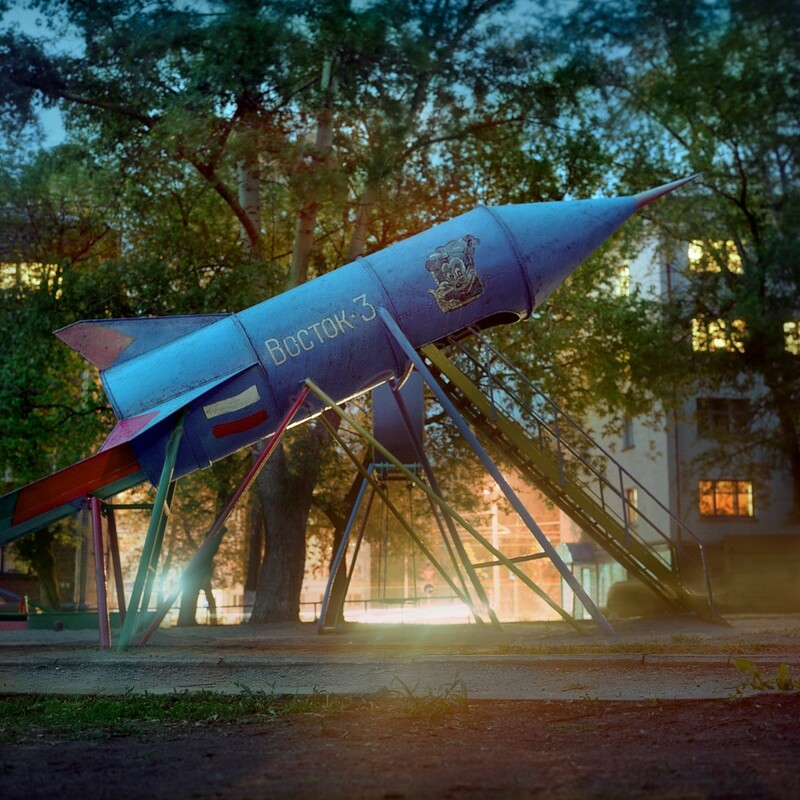 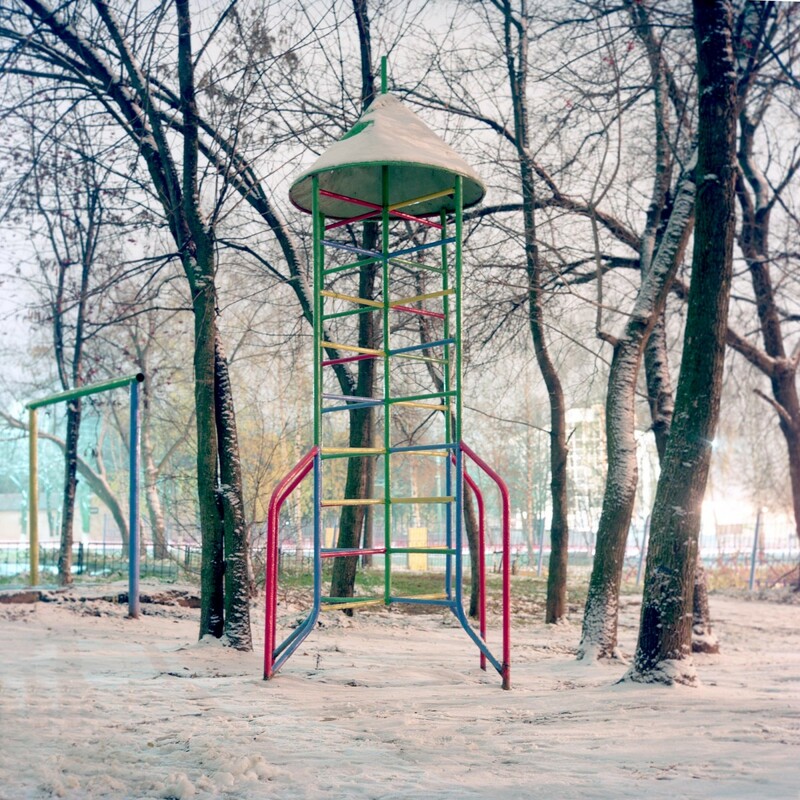 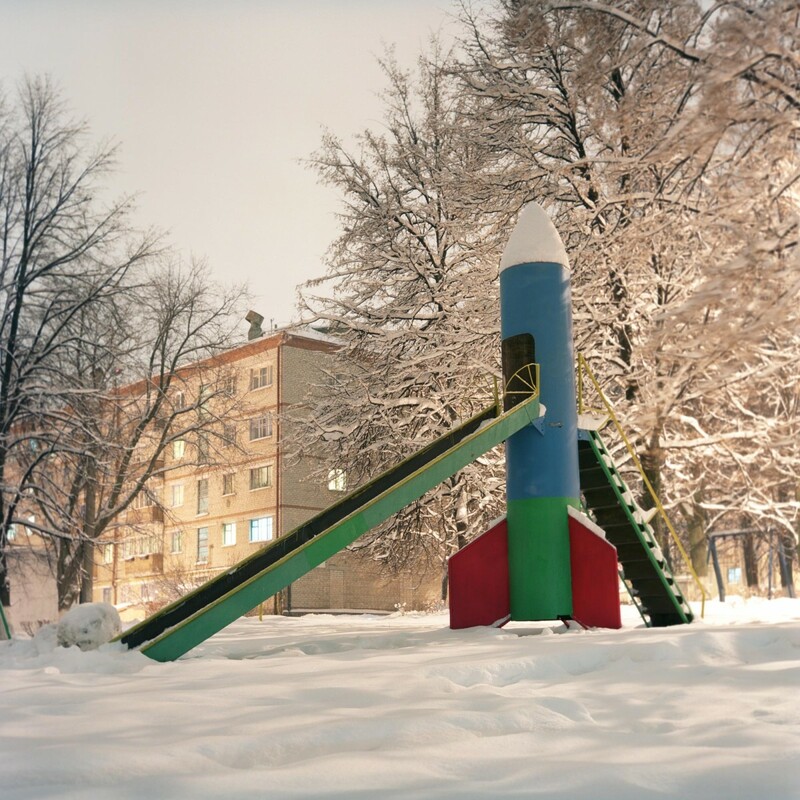 Presently, his series of photographs titled Playground, includes images of rocket ship style playgrounds built in Russia during the Space Race. 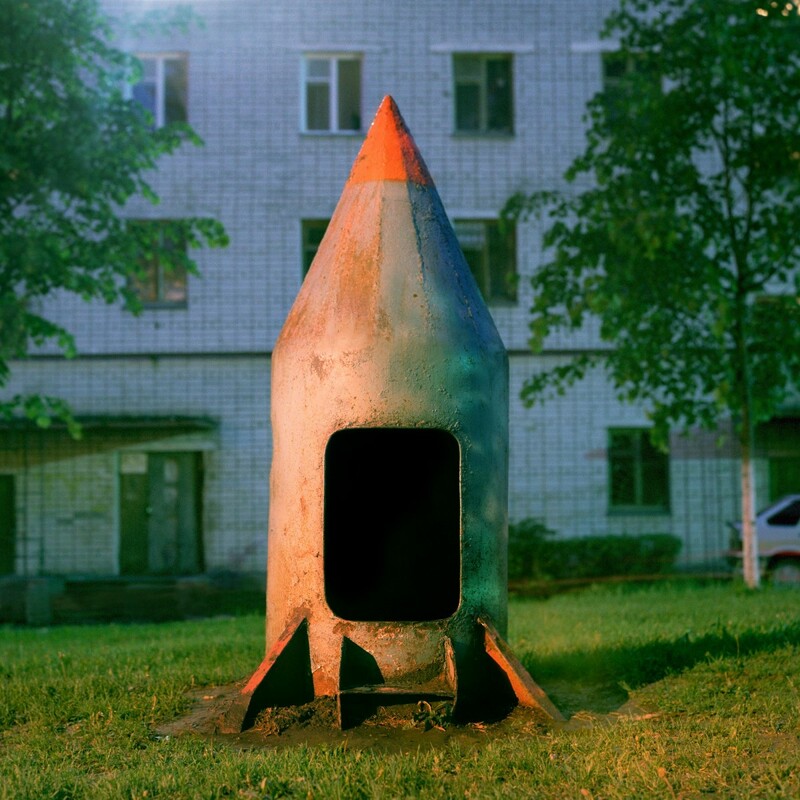 These images are very inspiring, a friend of mine has produced a series of ambient instrumental pieces on synthesizer and has asked me to find some artwork to go with the music. 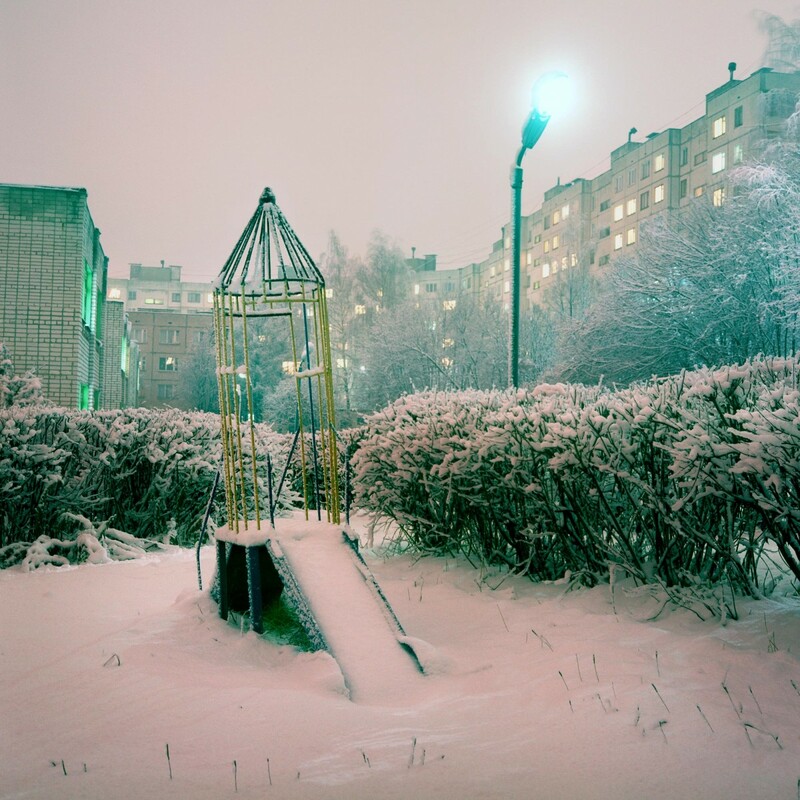 Would you be willing to allow me the use of one of your images from this series?